These White Chocolate Pecan Clusters are sent to you in a decorative gift box. 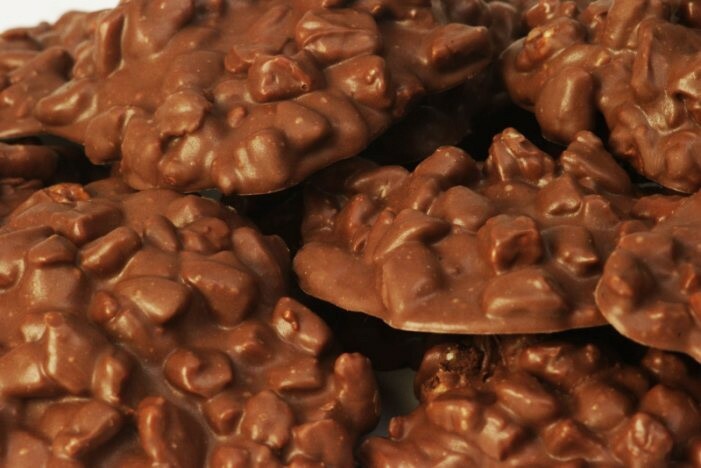 Millican Pecan Co clusters are made with milk chocolate and mixed with fancy pecans for a wonderful chocolate treat. I purchased these as Christmas gifts and got one for my family, too. The chocolate is creamy and rich, and they have a perfect blend of pecans and chocolate. I would recommend this product!